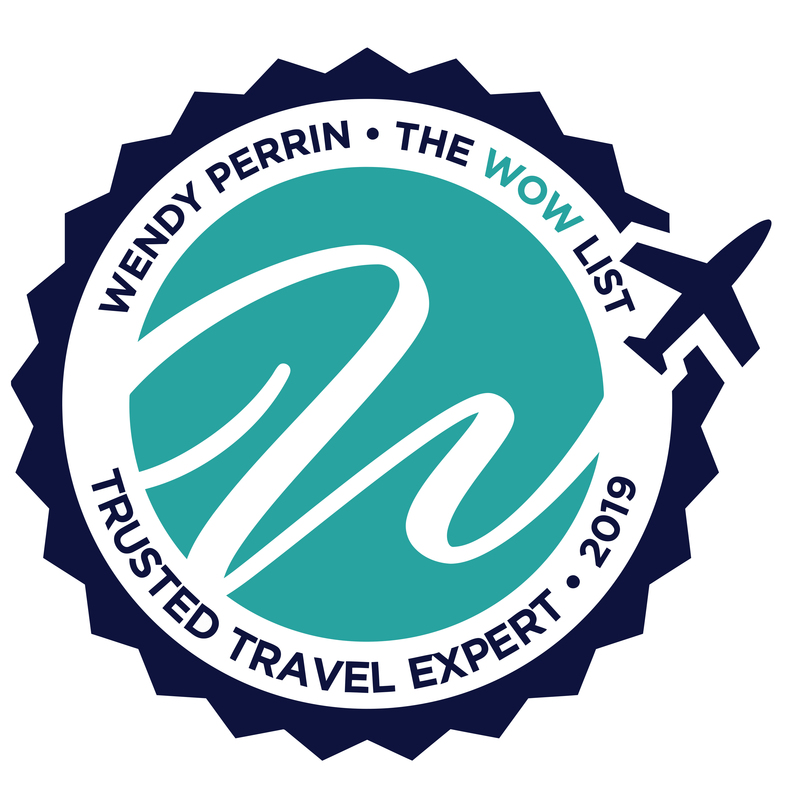 Lynette Wilson is on Wendy’s WOW List of Trusted Travel Experts for her expertise and connections in Fiji and Papua New Guinea. The reviews below are from real travelers who’ve taken trips that were arranged by Lynette and monitored by Wendy. Don’t miss Lynette’s Insider’s Guides to Fiji and Papua New Guinea. Lynette Wilson was lovely to work with in planning our week-long trip to Fiji. We had a lengthy first phone call in which she answered our many questions about traveling there, best places to stay given our interests and desired accommodation type. She lives in Fiji and has traveled extensively in the South Pacific so her insight was terrific when deciding where to go in the region. She was prompt in her follow up emails and getting back to us on questions. We decided to stay at Savasi Island Resort for its beautiful, small and private setting. Our 2 bedroom villa was gorgeous – waterfall and a small pond at entry, private plunge pool on the deck overlooking the gorgeous ocean view. The staff there were attentive and arranged for private excursions snorkeling and to a village for a swim in their waterfall – amazingly it was only the 2 of us and our guide there! They were very knowledgeable and taught us a bit about local plants and critters. They shuttled us back and forth to the airport and had breakfast prepared for us on arrival – pretty great after an overnight long-haul flight. As a special treat, I had a wonderful complimentary foot massage and scrub afterward – heaven. They made an amazing first impression with how they greet all guests. We plan to go back to this boutique resort. Lynette has counterparts in Los Angeles that booked our airfare. They were efficient but weren’t able to help much when we wanted to upgrade our flights to first class. To be fair, we should have noticed sooner we were booked economy, so might be worth ensuring that you specify that up front. All in all, we had on of our most memorable trips. I highly recommend Lynette. If you are headed to Papua New Guinea, you must use Lynette Wilson. When civil unrest in one area of the country forced a significant change to my itinerary, Lynette managed everything and it was hardly disruptive at all. I mention this because other people I met on the trip did not have the same experience with their travel agents and they related to me how utterly stressful the whole process of rebooking had been. I was also deeply impressed with the operators she used. They were absolute pros and it was the first time I’ve done culture-focused village visits where I didn’t feel for one moment that anyone was trying to sell me something. It was so refreshing to visit places where people were simply keen to teach me about their customs and answer my questions. Everywhere I went, it felt like Lynette had told people what I was going to ask for. At the dive resort, they had already slotted me into dive times so I wouldn’t lose any precious time as things booked up. It’s things like that that make a travel agent worth every penny. Lynette also did a great job on my time in the Solomon Islands. I was particularly appreciative about how open she was to adding activities to my itinerary as I came across them in guidebooks and changed my mind about my priorities. Lynette and team spent a lot of time upfront listening to us; understand what we wanted to experience in Fiji. The results were spectacular! After going through a few choices that all hit the requirements, we chose Savasi Island. They had us at “bula” (“hello”) – it was an intimate resort and we had the time to get to know everyone. It felt like we were home. Already miss it! Lynette was wonderful. First, she was very intuitive regarding the level of accommodations which would work perfectly for me, based on the questions she asked and the answers I gave. The trip I took would not have been many travelers’ idea of a dream vacation, but it was just perfect for me. She quickly responded during the planning stage to any questions I had and checked in with me when I got to Fiji. She slightly understated the accommodations, which meant I was pleasantly surprised at how great they were. What she did not tell me was that the places where I would be snorkeling and diving are world-class sites. National Geographic was filming at one island, and the Jacques Cousteau organization was at the next. Awesome trip. Detailed planning was very granular and thorough. The mix of travel modalities was especially admirable. When there were a couple of snafus, they were handled beautifully and successfully. She did an awesome job and deserves great ratings in all categories. We discovered later that in addition to doing the planning, she had also been working behind the scenes during the trip to make sure everything was going smoothly, checking in with the resorts that she had booked us in to make sure we arrived well and were cared for. Her staff was friendly and professional and the experiences were what we had been hoping for. Thanks for such a great trip!! My parents have booked a handful of trips from Wendy Perrin’s WOW List before (two of which I was a part of). 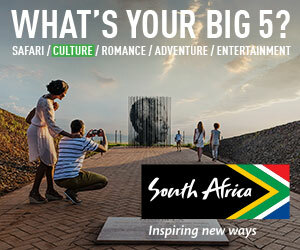 They suggested I go for it – splurge for the honeymoon to get a truly amazing experience. It’s only been a week since we started working on this trip with Lynette, and even though I don’t leave for nearly two months, this planning experience has already exceeded my expectations. This must be why my parents love The WOW List so much and will talk about it every chance they get: the ease of setting up a trip with an experienced professional, the trust and confidence that the trip will be spectacular, and the utmost level of customer service with the planning phase. I can’t express how much more excited about the trip I am from all of this. Thank you so much for all the help you have been! Lynette is amazing! There are so many different resorts in Fiji on different islands in different price ranges. I tried finding the right fit for our interests and budget, but it was really daunting. After a quick phone call with Lynette, she suggested the perfect place for us, Savasi Island just outside Savusavu. Our friends and family thought we were crazy for working with a travel agent outside the NYC area, but Lynette actually lives in Fiji and really knows her stuff. She really listened to us and then used her connections in-country to put together the exact experience we were seeking. Lynette Wilson of Destination World planned our trip to Australia in April, 2016 and it was everything we could have wanted and more. She listened to our input about the types of places we wanted to visit and the size of the tours. The trip was phenomenal; we were met at every place exactly as the itinerary stated and every activity went off without a hitch. The accommodations were perfect, the scheduling was great. We originally wanted to add New Zealand to this trip; Lynette dissuaded us, saying that we wouldn’t get the best of either country and she was absolutely right. We would definitely use her again–she was always responsive and flexible as we worked out the itinerary. Five stars for Lynette! Ohhhh…ahhh…WOW!!! Just a few of the verbs used to describe the undescribable experience of being in Sydney, on The Rocks, for New Year’s Eve! Our travel agent, Lynette Wilson and her staff, were wonderful to work with. I had indicated to Lynette this was going to be a belated 25th wedding anniversary for my husband and me and could she help us with the arrangements. And did she deliver! At our hotel, Sheraton on the Park, the detail and attention the hotel staff took with us, at such a busy time of year, was most appreciated after a 20-hour flight. And our evening at Wolfies on the Rocks was just wonderful. We had a corner table under the canopy but were able to see the fireworks from our table or go out to the partitioned-off sidewalk area just for customers, to view the fireworks. The food at Wolfies was a multi-course meal and had very good wine parings from the Grant Burge winery. Of course, the evening started out with champagne and some very yummy canapés. The wait staff was superb, very attentive but not intrusive. And I would work with Lynette and her staff to enjoy this event again! We spent two days in Sydney (never enough time in that wonderful city), and on to Lord Howe Island for three nights. Now this is where having a travel agent really came in handy, and I cannot say enough good things about our hosts at Capella Lodge on Lord Howe Island, Libby and Mark. One thing to be aware of when visiting Lord Howe Island is that it has a very short runway and the winds must not be above a certain level or the airplanes cannot land nor take-off. Yes, we were one of the ones that could not depart as scheduled, but our hosts made our extended stay very relaxing and enjoyable. And they were most helpful in getting us in contact with our travel agents and also the different vendors we needed to work with regarding the rest of our trip. Capella Lodge worked with Qantas to get us on-board the next day, assuming the weather cooperated, and it did. And the lodge also provided letters to be used for documentation for insurance and also gave us a reduced rate for the hotel. Now Lord Howe Island is quite lovely. Great for walking/hiking/fishing/swimming and riding bikes. There are cars on the island but you really don’t need them if you like to bike ride. We did take a walk in the woods called ‘Ron’s Rambles’. And Rod was very interesting and well worth the time! Be aware also when visiting this island that there is a weight restriction so just take a swim suit and a sarong, hiking/walking shorts and top, and a wrap for sitting outside and watching the sunset or sunrise in the morning. Do bring something nice for dinner—again casual, but nice. The food was exceptional, with fresh fish options at every meal, lamb, and beef if desired. I highly recommend this resort line of lodges. We have also stayed at Kangaroo Island Southern Ocean Lodge; both places were very different experiences but both top-notch! Well worth a splurge! Since we had to stay an extra night at Lord Howe Island, our other travel arrangement got bollixed up too. But Lynette and her staff came through and were able to get us accommodations in Melbourne and also arranged drivers to get us where we needed to go to catch up with the rest of our plans.